Cat Islanders, Cortney Maycock and Trenice Bethel were recently awarded scholarships to attend The Bahamas Technical and Vocational Institute (BTVI) to unlock their full potential. Maycock will be completing a certificate in Electrical Installation, while Bethel will be completing an Associate’s degree in Business Office Technology. BTVI’s Associate Vice President of Fund Development, Alicia Thompson thanked the club for its continued collaboration with the institution. “BTVI has indeed enjoyed a long standing relationship with the Kiwanis Club of Over the Hill and we are indeed honored that as a part of your 40th year celebrations, you saw fit to involve us in your plans,” she said. Cortney admitted that many young people do not achieve their full potential. However, he said the scholarship will help him in that regard. “It will allow me to complete my studies in Electrical Installation and go on to be a productive contributing member of society,” said the young man. Cortney pledged his commitment to uphold the confidence that has been placed in him and thanked BTVI and the Kiwanis Club of Over the Hill for providing the instruction that will allow him to be globally competitive and economically independent. With the objective to serve the children of the world, the Kiwanis Club is expected to be a part of the future success stories of the recipients. 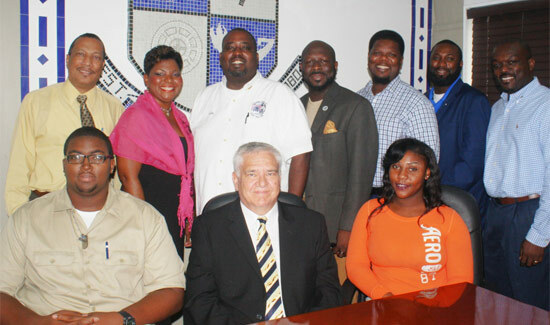 The Kiwanis Club of Over the Hill has had a partnership with BTVI for 40 years, and has been awarding scholarships to deserving youth for the same, particularly to Family Island students. Since its inception in 1975, the club has given countless hours of community service and hundreds of thousands of dollars to the development and the building of the community, including the Family Islands. 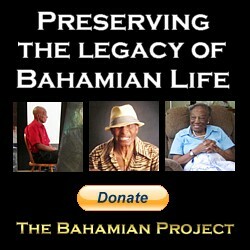 They also sponsor a number of youth programs including Builders, K-Kids and Key Clubs in The Bahamas. Kiwanis Club Lieutenant Governor Designate Benjamin Whyte, congratulated the recipients and encouraged them to join clubs in Nassau so that they can continue to help others just as the Kiwanis Club helped them. BTVI President, Dr. Robert W. Robertson, added that the institution is looking forward to building capacity in the Bahamian society. He noted that the support of Kiwanis in building the community is fundamental in that goal. Dr. Robert welcomed the recipients to their new journeys and made a commitment to keep an eye on them as they complete their studies. He advised them that his door is always open to students and encouraged them to stop by whenever help is needed. Seated Left to Right: Scholarship Recipient, Cortney Maycock; BTVI President, Dr. Robert W. Robertson and Scholarship Recipient, Trenice Bethel. Standing Left to Right: Kiwanis Club of Over the Hill Treasurer, Solomon Gibson; BTVI Associate Vice President of Fund Development, Alicia Thompson; Kiwanis Club of Over the Hill President, Colin Mortimer; Kiwanis Club of Over the Hill Lieutenant Governor Designate, Benjamin Whyte; Kiwanis Club of Over the Hill Community Services Director, Quintin Percentie; Distinguished Kiwanian, Eric Adderley and Kiwanis Club of Over the Hill Assistant Community Services Director, Dominic Gaitor.